Officers said the girls were approached during separate incidents earlier this week in south London - possibly by the same suspect. Roy Darvill, who raped and indecently assaulted foster care children in his home over a 20-year period, has now been jailed for 16 years. At least 18 people were injured after they were fired at by a motorist with a paintball gun. The Metropolitan Police are appealing for the public's help to find a missing mother and her six-week-old baby. Isobel Hughes and her daughter Mya were last seen at 10pm on Friday April 1, in Ealing. Baby Mya requires regular medical checks as she has a heart condition. Isobel is 20-years-old, 5ft 8ins tall and of slim build. She has links to Windsor, Slough, Reading and Hampshire. Officers have asked anyone with information on their whereabouts to call Ealing police on 101 or Missing People on 116000. Thomas Gerry Redmond, was 26, when he disappeared - more than three decades later police are still trying to piece together what happened. 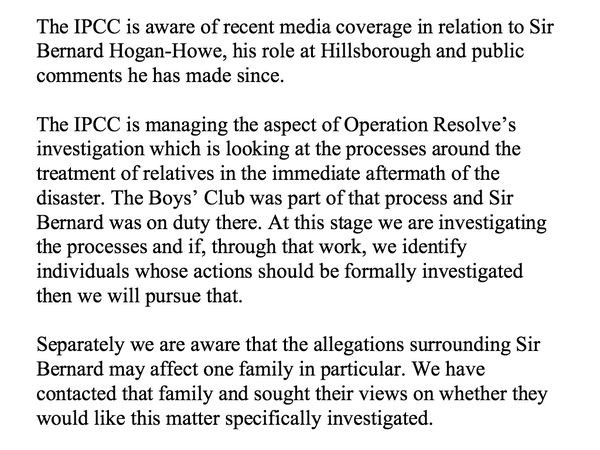 The Independent Police Complaints Commission (IPCC) said it has asked the family of a Hillsborough victim if they would like it to investigate recent allegations made against the UK's most senior officer, Sir Bernard Hogan-Howe. Skins actor Daniel Kaluuya is suing the Met for assault and false imprisonment after he was wrongly suspected of being a drug dealer. The Prime Minister has welcomed an investigation by British detectives into the disappearance of Madeleine McCann. I think it is welcome but it is obviously a matter for the police. It is welcome because they say that there is new evidence, new leads to follow, new things to be done. It was a case that did shock and still shocks the nation and if an answer can be found we should try and find it.